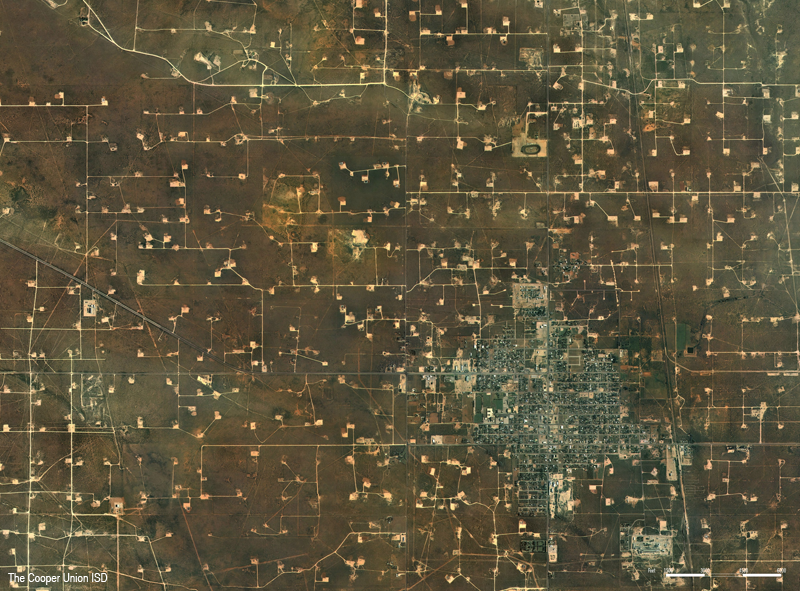 Hydraulic fracturing (hydro-fracking) is credited as being first employed by Halliburton in 1948. The process injects a mixture of chemical additives, proppants (particles, like sand or ceramic), and water under high pressure into a target oil or gas zone in order to facilitate the flow of the gas or oil back to the surface for recovery. 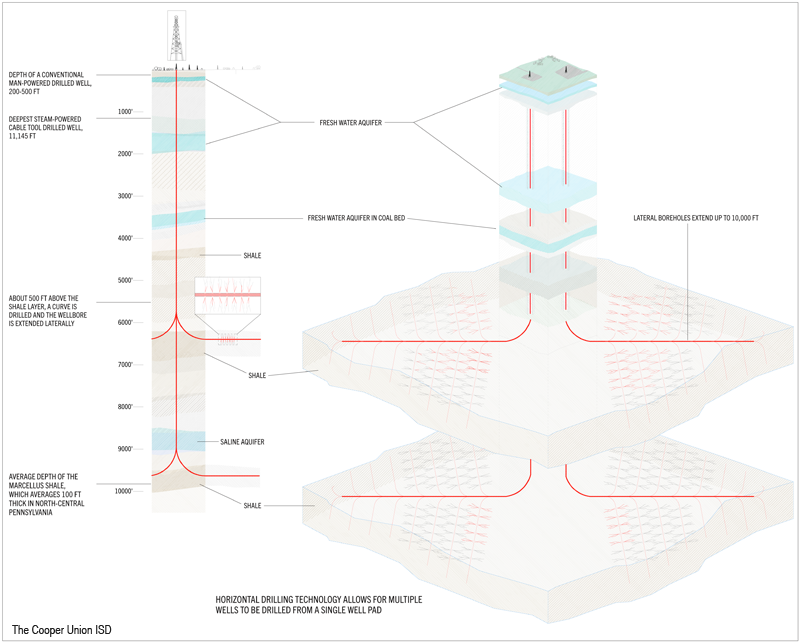 Fracking was used between 1948 and 2002 to complete vertical wells in moderately shallow formations; these operations were relatively modest and required only 75,000 gallons of water in both the drilling and fracturing stages. What is referred to as High Volume, slick-water, multi-stage, Hydraulic Fracturing and horizontal drilling (HVHF) was introduced in 2002. 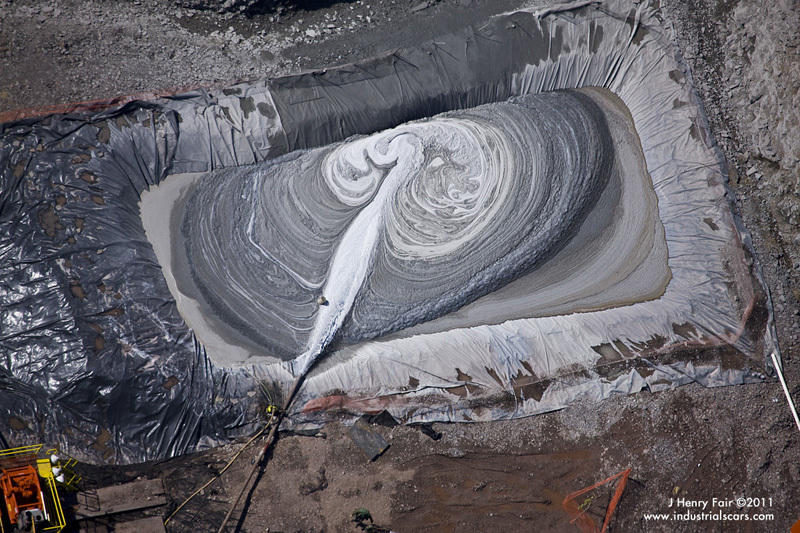 After the industry was granted exemptions from all important and relevant federal environmental laws and health regulations in July 2005 (exemptions commonly referred to as the Halliburton loophole) this process became standard practice. 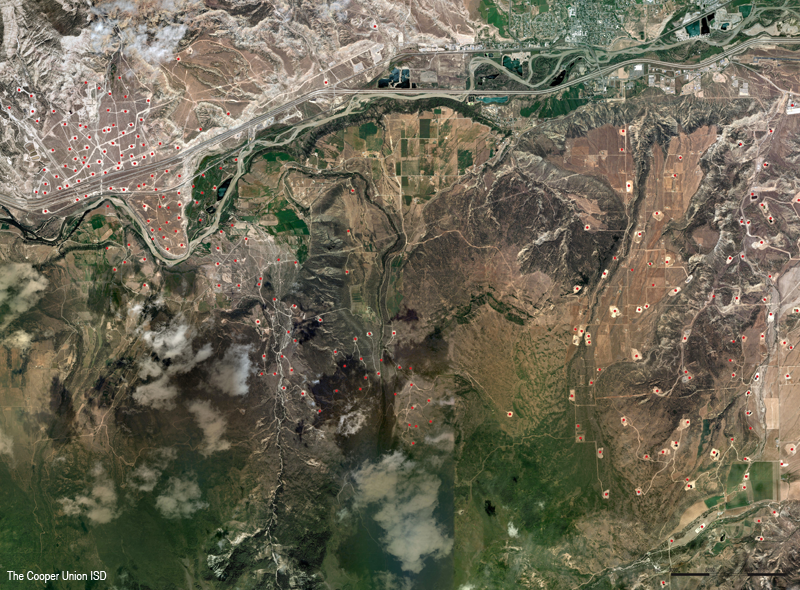 It enabled the industry to use a mix of highly toxic chemicals including endocrine disruptors and volatile organic compounds in order to rapidly and successfully extract hard to access gas and oil from shale layers and other rock thousands of feet below the surface. From 1999 to 2007, the Hydraulic Fracturing market expanded from just under 3 billion USD to 12.8 billion USD. 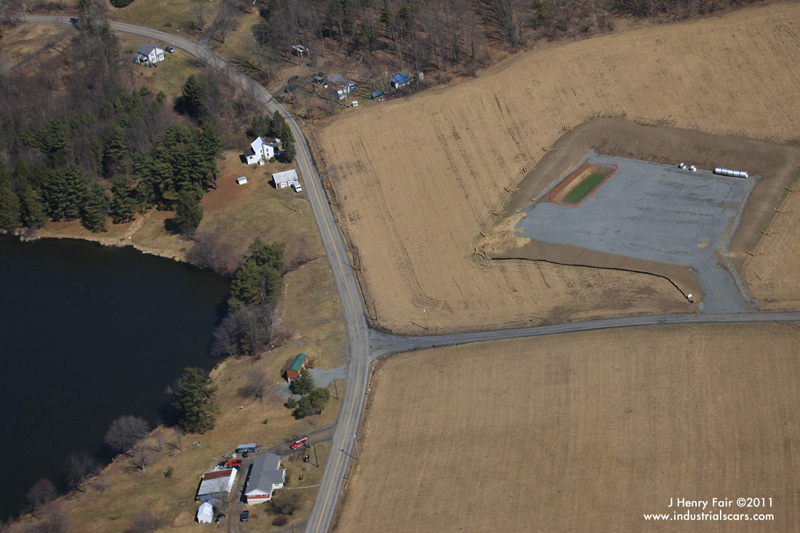 In 2009, the EPA and internal studies from natural gas companies themselves found that wastewater from this process contains levels of radioactivity and carcinogenic properties that are above the level that treatment plants are currently equipped to handle. 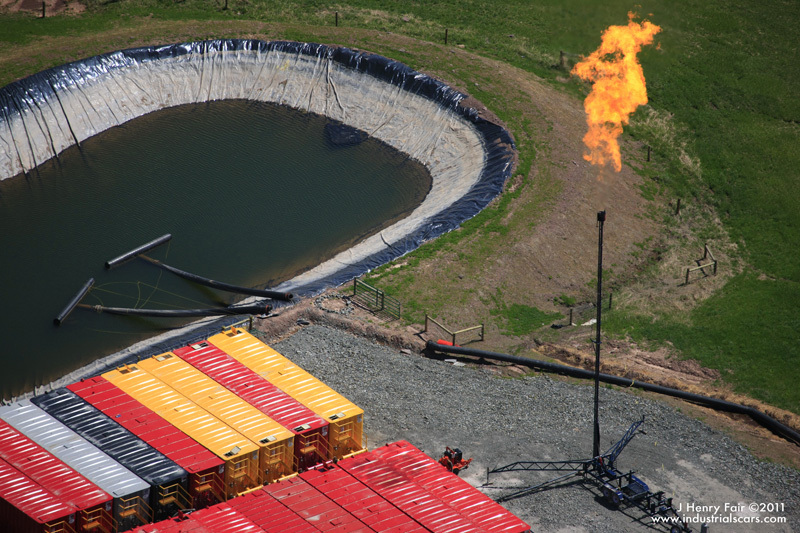 Flare at Hydro-Fracking drilling operations near Sopertown, Pennsylvania. 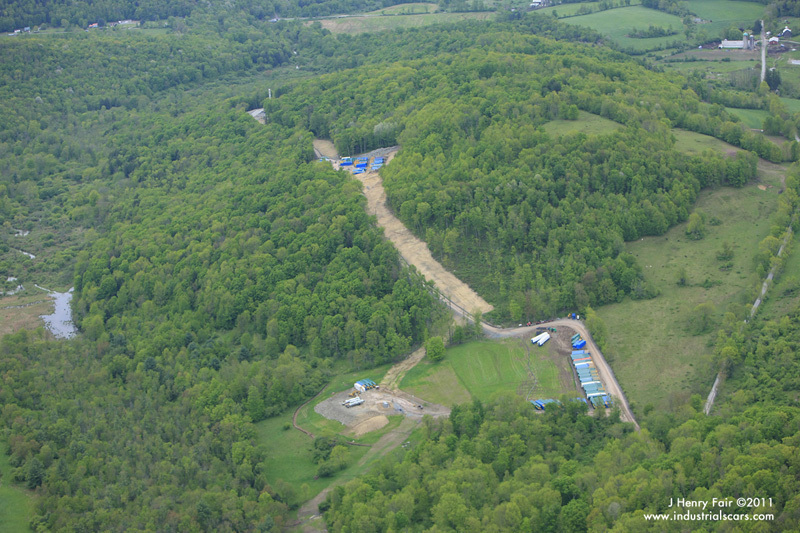 Recently constructed well pad prior to drilling at Hydro-Fracking site. 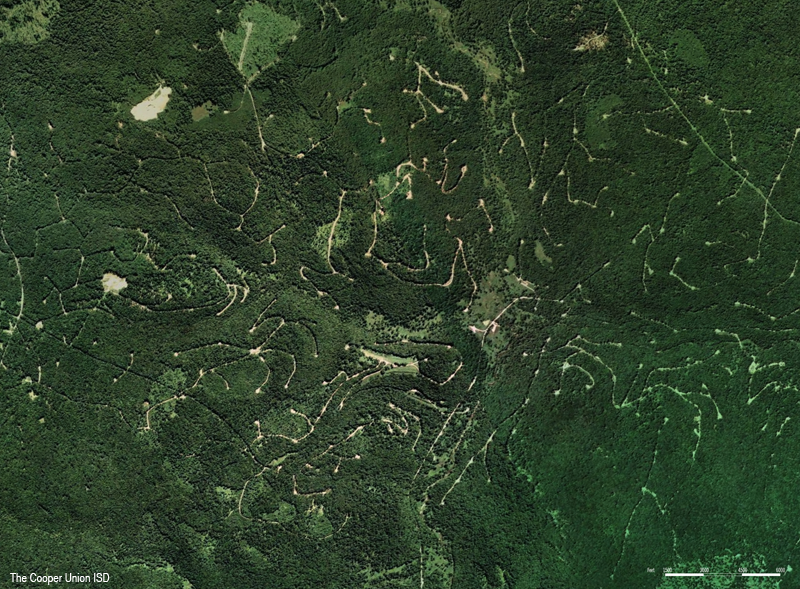 Dimock, Pennsylvania. Peas Eddy Brook meets the East Branch of the Delaware River. Hancock, New York. 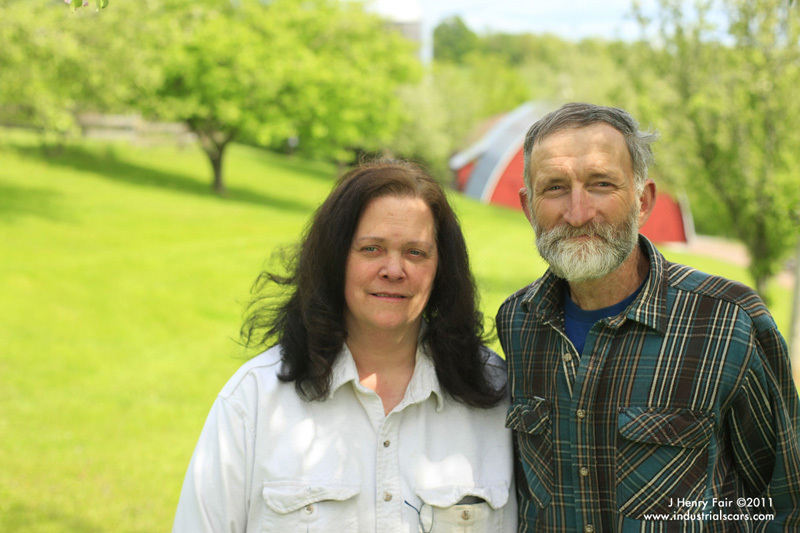 Alice and Pete Diehl on their farm, which has been owned and run by their family for five generations. 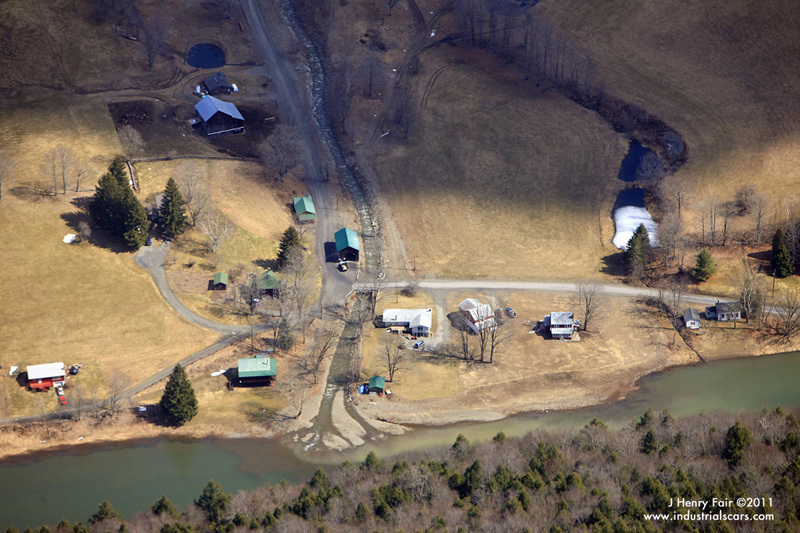 Youngsville, New York. 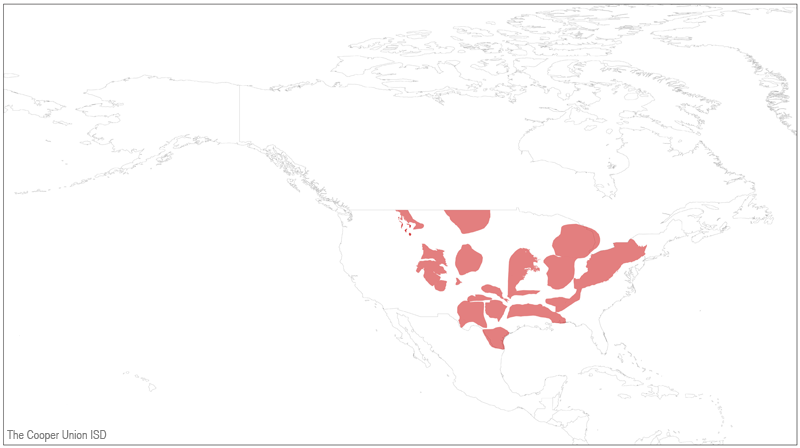 Location of gas shale geology in the United States. 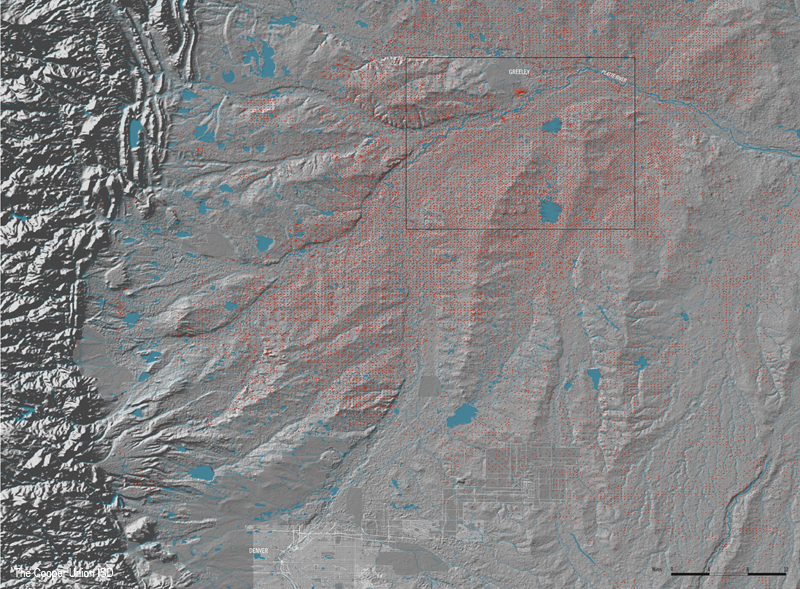 Known shale gas plays in the Rocky Mountains region. 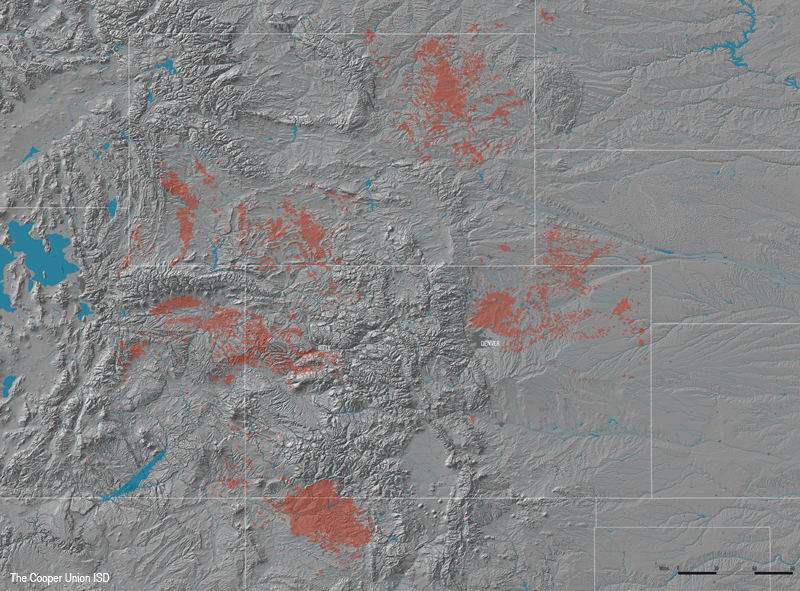 Hydro-fracking well pattern and major rivers in Colorado. 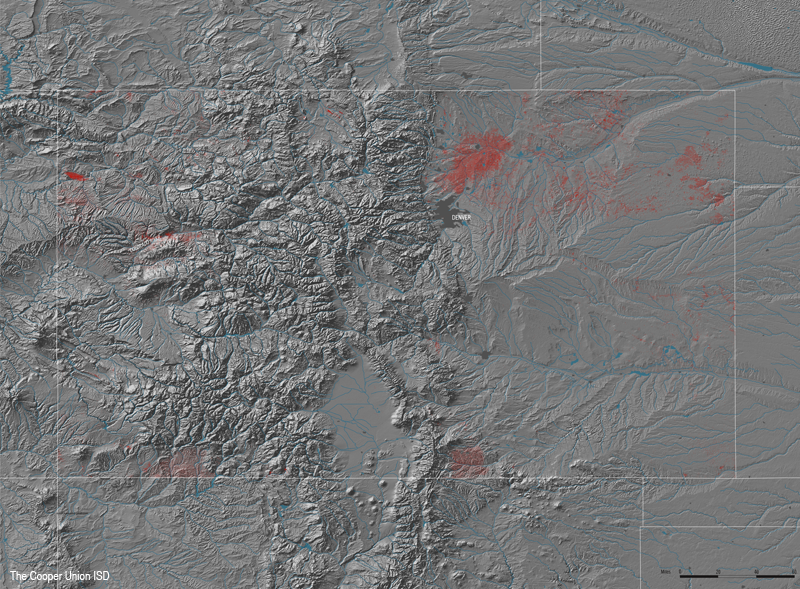 Hydro-fracking wells north of Denver, Colorado, showing vertical and horizontal drill patterns. 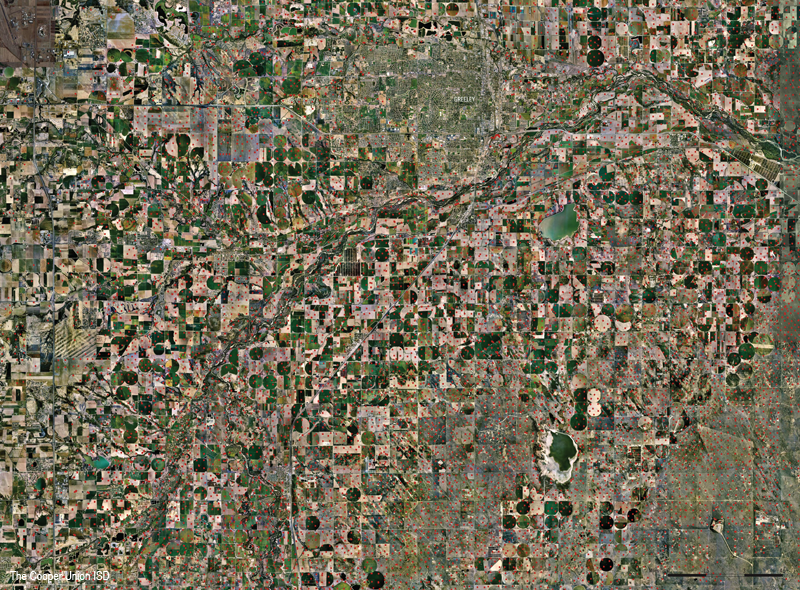 Well points along the Platte River, north of Denver, Colorado. Well points along the Colorado River in Garfield County, Colorado. 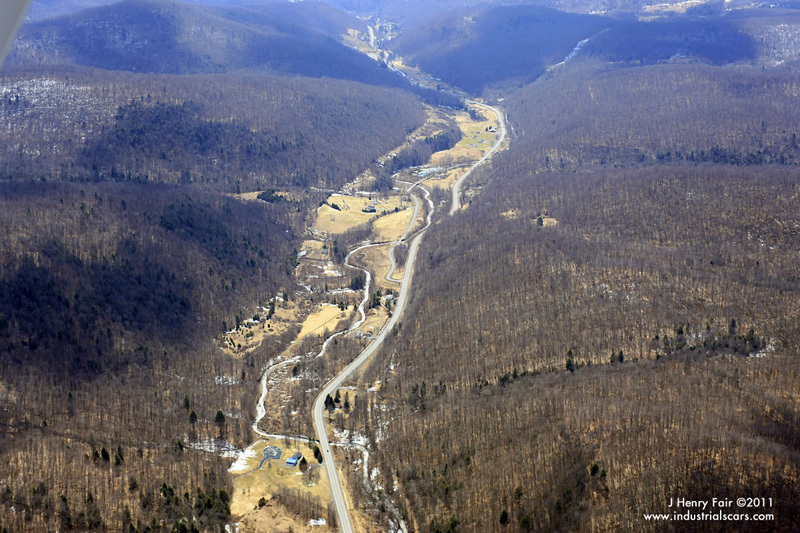 Hydro-fracking well sites in Allegheny National Forest, Pennsylvania. 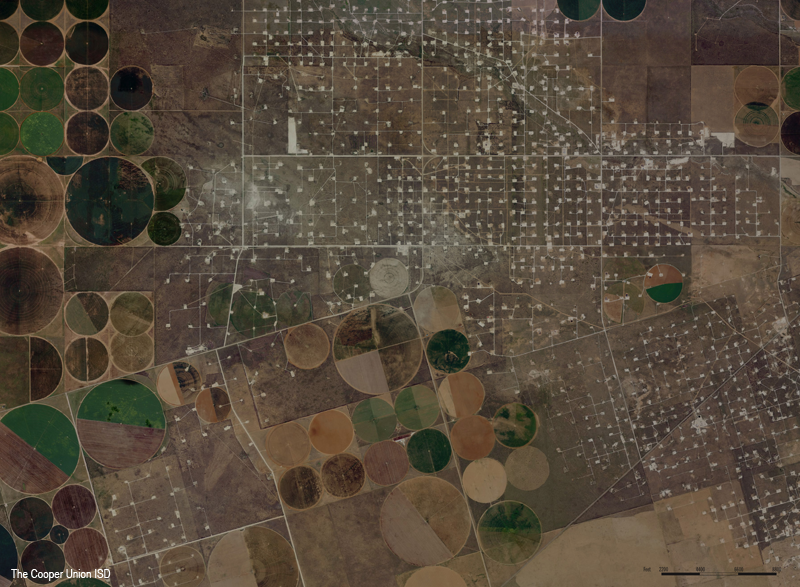 Hydro-fracking well sites in Gaines, Texas. 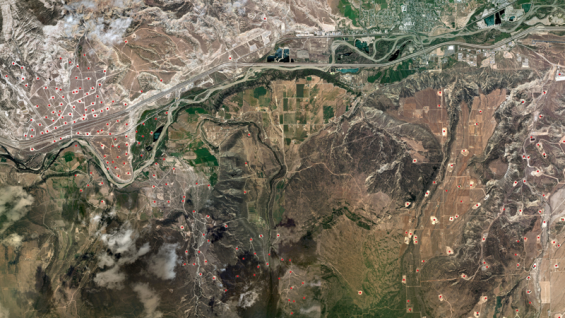 Hydro-fracking well sites around Eunice, New Mexico.